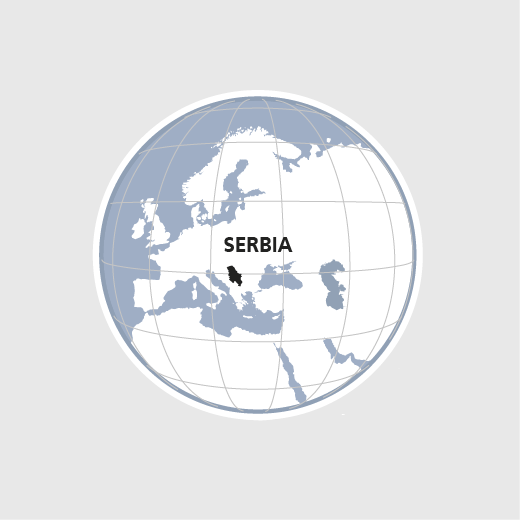 The wars in Bosnia and Kosovo left Serbia internationally isolated and in economic ruin. The social system had collapsed and poverty and unemployment were rife. Even today some ten per cent of the population still live below the poverty line, and one-third barely above it; 20 per cent are unemployed. Minorities are very severely affected by unemployment and lack of access to social services. On the one hand, HEKS/EPER therefore supports the social and economic inclusion of the roughly half million Roma through improved housing and access to education, healthcare, work and incomes. On the other, HEKS/EPER supports the development of a home care service for sick and older people in rural communities. Thanks to HEKS/EPER, 2000 Roma families obtained better access to public schooling in 2017. Improved sanitary facilities were provided for 1700 people in five refugee camps.